Finally, there is some breathing room for Idea Cellular share prices. The downtrend that was in place since the beginning of May 2015 is finally losing strength. 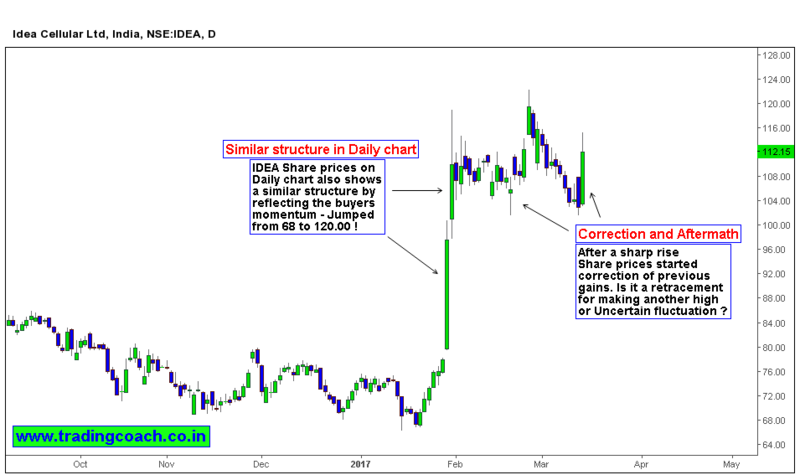 During the period of last two years, Idea shares lost 60% of its earlier gains. Prices fell from 200 per share to 70 per share within that period. Even though equity investors couldn’t capitalize the selloff (due to restrictions on short selling) Speculators on futures and options have made some decent returns by betting on downtrend. Trend trading strategies (focusing on downtrend) worked out very well within this structure. Now that’s about to change as Price action shows some sign of structural shift. 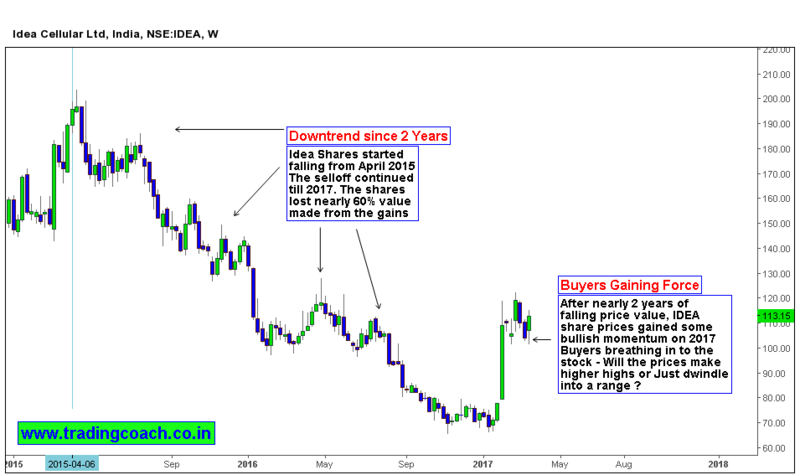 After nearly two years of falling price value, IDEA Shares gained some love from investors. In the beginning of 2017, Prices rose sharply from 70 to 100 within a span of 2 Months. This move suggests a strong bullish momentum is intact. When we see the structure on daily chart, it’s obvious to spot same structure in play. We can notice a strong breakout, followed by a correction. Axis Bank – Is it a New Uptrend or Temporary fluctuation?